Regardless, this was a fun way to liven up a basic outfit, and perfect if you are growing out bangs or layers, so I thought I would share. Step one: side part a two-inch section of hair. Step two: french braid the section, guiding it around the crown until you pass your right ear, then switch to a regular braid all the way to the bottom. Tie off with a mini-elastic. Step three: make a ponytail with the rest of your hair. Step four: Loop the braid around the ponytail to cover the elastic. 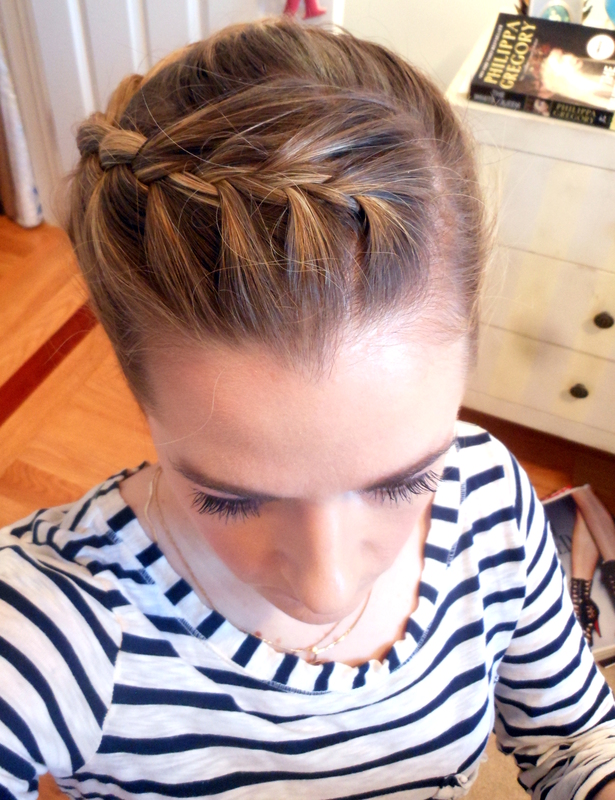 Secure the end of the braid with a hair-toned bobby pin under the ponytail. Voila! 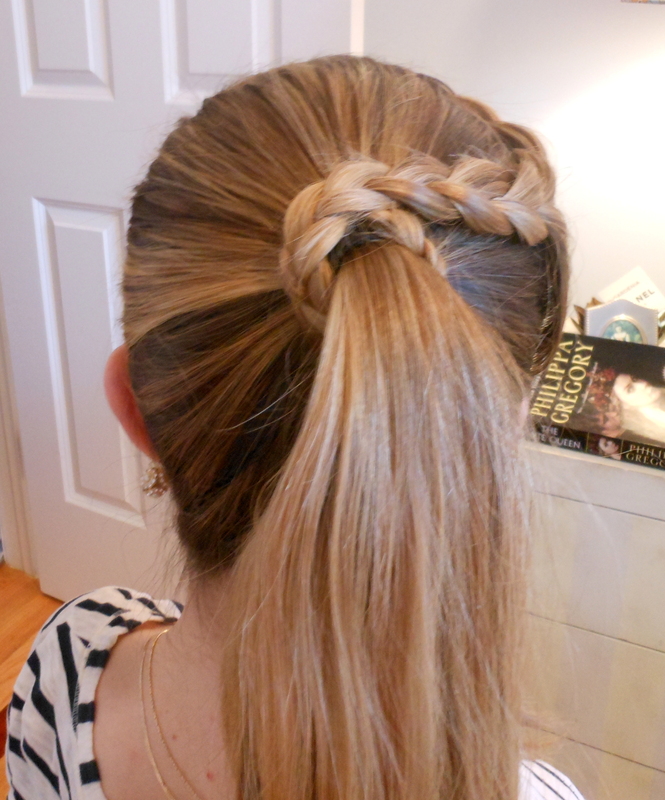 Not too hard if you have medium to long hair and can do the french braid. I might try it out with one or two small, standard braids. Have a happy start to the week!